Click here for a PDF version of the information below. Click here to view our 2014 Donors. Click here to view our 2013 Donors. 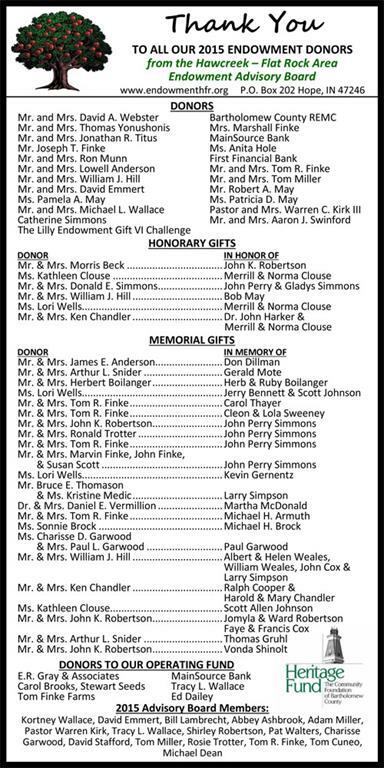 Click here to view our 2012 Donors. © 2014 Hawcreek-Flat Rock Area Endowment. All rights reserved.